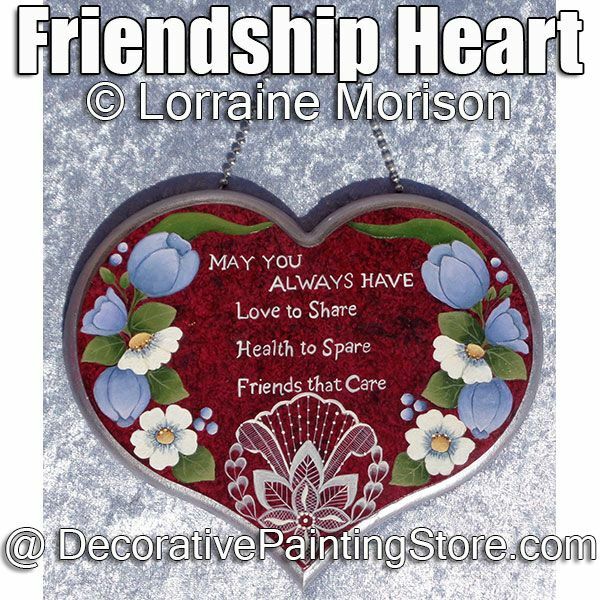 Tulips, daisies, and lace medallion painted on 7-1/2" x 6-1/4" heart. Painted with acrylics.... Matisse, Delta Ceramcoat, DecoArt Americana, JoSonja's Artist Colours. Pattern includes photo, illustrations of the lace steps, instructions, and line drawing.